Following tweet by a journalist has gone viral. This has lead to lot of ‘trolling’ in social media space. Several persons have expressed opinion criticizing the Court as ‘snobbish’ and ‘elitist’. But has the Court committed any wrong by its response in the above manner? Let us examine. We are concerned with Art 348 relating to language for the courts. Just as we have a national anthem, national flag etc, there was a desire to have a national language. But the task of having a national language for a multicultural country like India was never easy. India has always been a multilingual nation. Over 1600 languages and dialects flourish in India. Hindustani is to be understood as Hindi we speak commonly and not some chaste, pure Hindi. Finally, after lots of deliberations, Munshi-Ayyangar formula was adopted without dissent. According to this formula, English was to continue as the official language of India along with Hindi for a period of fifteen years. Schedule VIII is a fruit of Munshi- Ayyangar formula. In 1963, the Official Languages Act was enacted to pacify non-Hindi speakers and in 1967 the Act was amended for indefinite usage of English and Hindi as the official languages of the country. shall be in the English language. (2) Notwithstanding anything in sub-clause (a) of clause (1), the Governor of a State may, with the previous consent of the President, authorise the use of the Hindi language, or any other language used for any official purposes of the State, in proceedings in the High Court having its principal seat in that State: Provided that nothing in this clause shall apply to any judgment, decree or order passed or made by such High Court. A plain reading of Art 348 provides that all proceedings in the Supreme Court shall be in English. Further, the Supreme Court of India Handbook on Practice and Procedure and Office Procedure, 2017, also says: "the language to be used in the Court and all proceedings in the Court, shall be in English. (c) he may give his written arguments in English. The court reminded that Art 348 provides that the language of the Supreme Court is English. As Raj Narain was not amenable to these suggestions, the court was construed to cancel his intervention. In the present controversy, the bench lead by the Hon’ble Chief Justice Gogoi has simply followed this 7 judge order in Madhu Limye v Ved Murti. It has given the option to the District Judge to submit his written arguments in English. Seen in the backdrop of the Constitutional provisions, the criticism directed at the Court for this episode seems unfounded and disproportionate. The statement attributed to the CJI, “You are a judge and you can't speak in English?” is simple that as a judge one must know the Constitution and its provision. Art 348 clearly stipulates that the language of the court must be English. The CJI even benevolently told the judge that he may conduct his court in Hindi but when he comes to Supreme Court language must be English, as provided under the Constitution. One must remember that India doesn’t have a national language. It has an official language. Article 343 provides that the official language of the Union shall be Hindi in Devanagari script. Further, English was to continue as the official language of India along with Hindi for a period of fifteen years only initially. Later, this period was extended indefinitely by the Parlimanet. Further, Art 348(1)(b) provides that authoritative text of all orders, rules, regulations and bye-laws issued under Constitution or laws and all the Acts, bills, ordinances promulgated by the President or Governor shall be in English Language for the purpose of proceedings before the Supreme Court and High Court. “2. 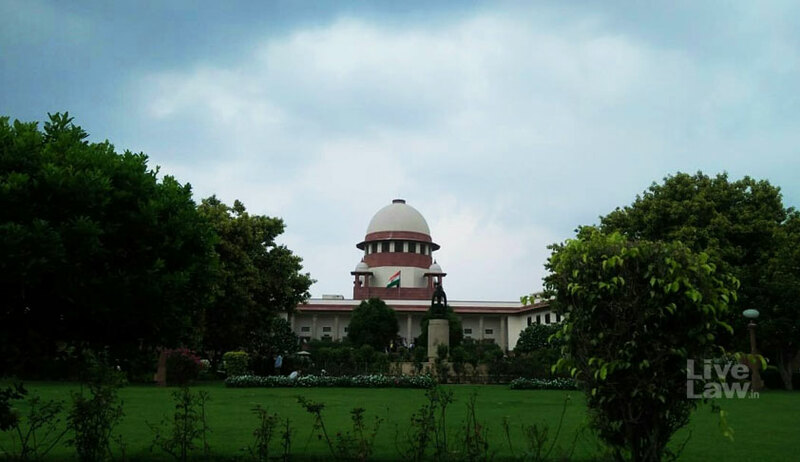 I may be old fashioned but I would earnestly request both Parliament and the Government of India not to tinker with the legal system as it has existed – principally because the entire legal system in India is based on, and has much in common with, the English-language: both were originally imported from abroad. Over the course of over 300 years, each has become distinctively Indian. The language of our law, in more senses than one, is English. It is true that the English language as spoken and written in India has the same alphabet and conforms to the same rules of grammar – but the idioms, the expressive phrases and even the pronunciation of words are vastly different. Many new words have crept in. We have institutionalized and localized the English language; as some with said, it has become English – so it is with the legal system. Originally an English transplant with AngloSaxon roots, the legal system in India has grown over the years, nourished in Indian soil; it has become indigenized; what was intended to be an English Oak, has turned into a large sprawling Banyan tree whose serial roots have descended to the ground to become new trunks. In the end I’ll say let’s not sensationalize the issue and let’s not stretch our already stretched fabric of nation. Charu Mathur is an Advocate-on-Record at Supreme Court of India.